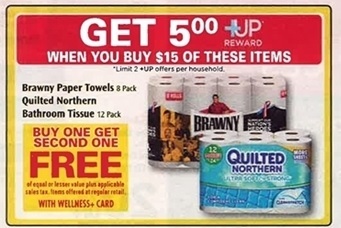 Starting the week of 7/20 you can get Quilted Northern Bathroom Tissue and/or Brawny Paper Towels for as low as $3.82 per pack! See how below. ← Rite Aid – FREE COVERGIRL Products!